There are plenty of reasons why we choose the kinds of places we travel to. Sometimes we want to pack our itinerary with the culture, cuisine and the fast-paced lifestyle that can only be found in a major city. While other times we want to get away from it all and escape so far into the countryside we lose cell reception. But what is the happy medium between the sensory overload of the big city and complete isolation in the wilderness? Welcome to Small Town, USA. Small towns offer something for everyone such as local museums for culture lovers, space to roam for the outdoorsy types, and a slow-paced lifestyle that will have you leaving your vacation refreshed and renewed. Corning, New York fits the bill perfectly. It’s got small town vibes with a big city attitude. It’s a unique and magical place that has taken everything there is to love about the city and everything there is to love about the country and created an exciting mash up. Best part, it’s located amongst the Finger Lakes, making it the perfect base camp to explore the region. Just because Corning isn’t a big city doesn’t mean it lacks any culture or an arts scene. 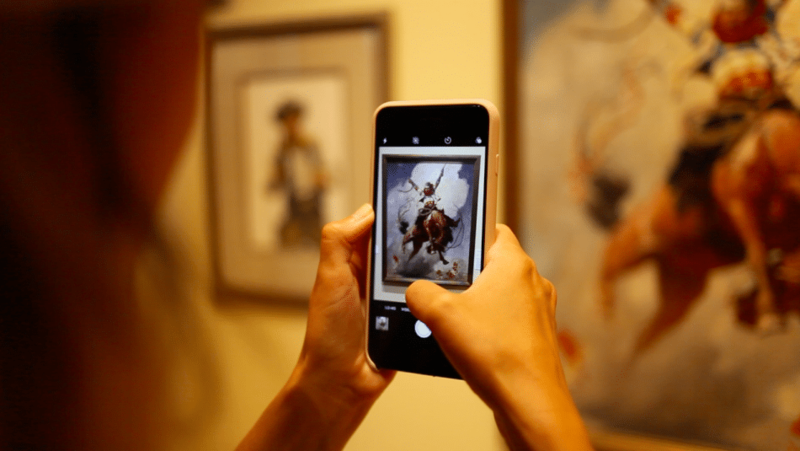 In fact, Corning is an artistic oasis not just because of the public art and murals you can find throughout the city, but because it inspires art within the community. One of the main driving forces supporting the arts in Corning is the Rockwell Museum, a Smithsonian affiliate that explores art that expresses “the American experience – the people, land and ideas that shape America through the eyes of American artists.” In addition to providing locals with a high-quality art museum, the Rockwell museum engages the community through programming that gets kids creating their own works of art, including the Alley Art Project that’s giving local high school students space to design their own murals. 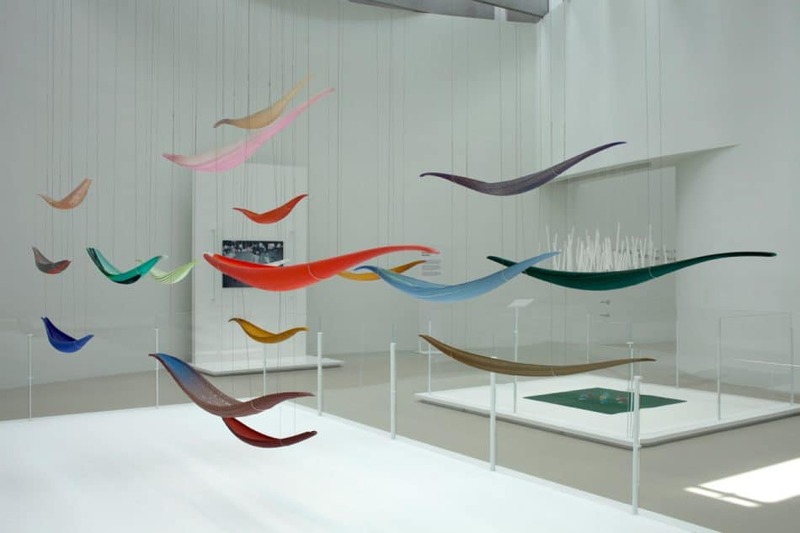 Corning is also home to the Corning Museum of Glass, a gigantic facility dedicated to documenting the history of glass, researching glass, and of course, glass artwork. It’s easy to get lost when you’ve immersed yourself in the world of glass. There are live demonstrations with professional glass makers as well as interactive exhibits that allow guests to create their own glass art. If it feels overwhelming, don’t fret — one ticket to the Corning Museum of Glass gets you two days of entry. Every small town has a main street where locals meet, eat and play, and in Corning its West Market Street. Located in Corning’s Gaffer District, West Market Street is an iconic small town main street lined with small businesses like the Card Carrying Shop, which specializes in feminist books, and Dimitri’s Confectionery Treats, a candy shop specializing in homemade Ghirardelli treats and bulk candy, both nostalgic and favorites of today. These local businesses are housed in historic buildings whose brick facades these shops as welcoming as they are picturesque. The hometown chefs in Corning know how to get creative with their cooking and they’re not afraid to think outside of the average gastropub menu. At Hand + Foot, located on West Market Street, Dan Morton is a sommelier with a mad scientist spark that inspires out of this world fusion dishes like the ya ka mein, a ramen-like dish that features London broil, creole beef broth and spaghetti noodles. His wife, Laurie, pairs these creative dishes with equally creative cocktails. A few doors down at the Market Street Brewing Company, not only are they experimenting with delicious beer, they’re creating unique dishes as well, such as the sushi nachos, combining everything you love about sushi and nachos. Cuisine scenes in big cities tend to be more traditionalist and purist, preventing this level of playfulness and personality to be injected into a menu. But Corning welcomes creativity, allowing chefs with seemingly outlandish ideas to flourish. Corning has an excellent selection of beer to go along with the delicious foods local chefs are cooking up. 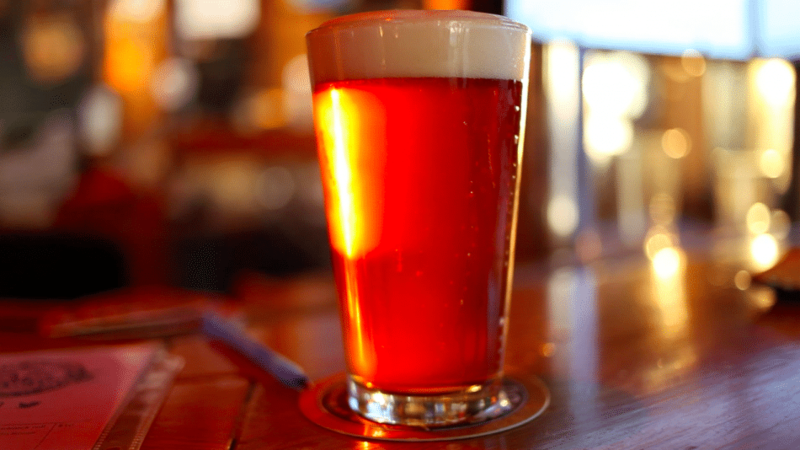 Not only do Corning bars have an extensive list of New York beers on tap, but there are brew masters making beer right in town. 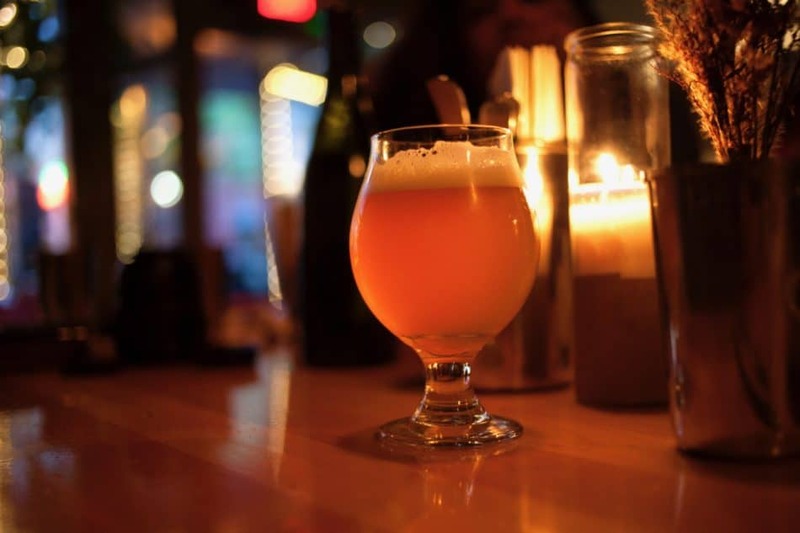 Corning is home to several breweries such as Carey’s Brew House, which offers their own in-house beer as well as local and international beers on tap, and Brick House Brewery who specialize in small batch craft beer paired from gourmet flatbreads. But it doesn’t stop at beer in Corning. This small town also has a distillery which happens to be Steuben County’s first distillery. After visiting distilleries in Kentucky, Matthew Bowers wanted to bring the art of distilling spirits back home. So he opened Four Fights Distilling where he distills bourbon, American whiskey, vodka and a whole line of flavored moonshine. The great outdoors is not far from your doorstep in Corning. Just outside of the city you’ll find several state forests, such as Erwin Hollow State Forest, West Hill State Forest and Meads Creek State Forest, that offer plenty of trails for hikers. Corning is also close to two Finger Lakes, Keuka Lake and Seneca Lake, where you can enjoy lake life. 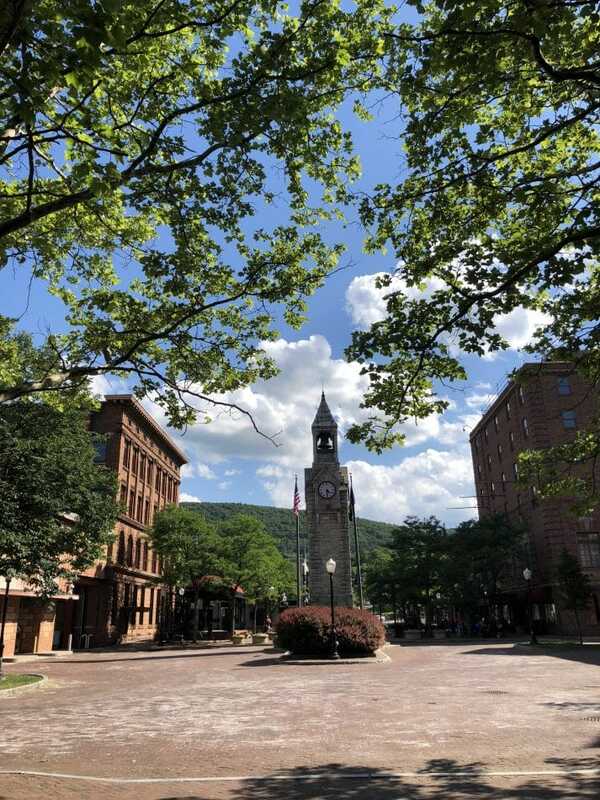 Corning is also a day trip away from Watkins Glen, which recently won 3rdplace in USA Today 10Best Readers’ Choice Award for Best Small Town for Adventure. 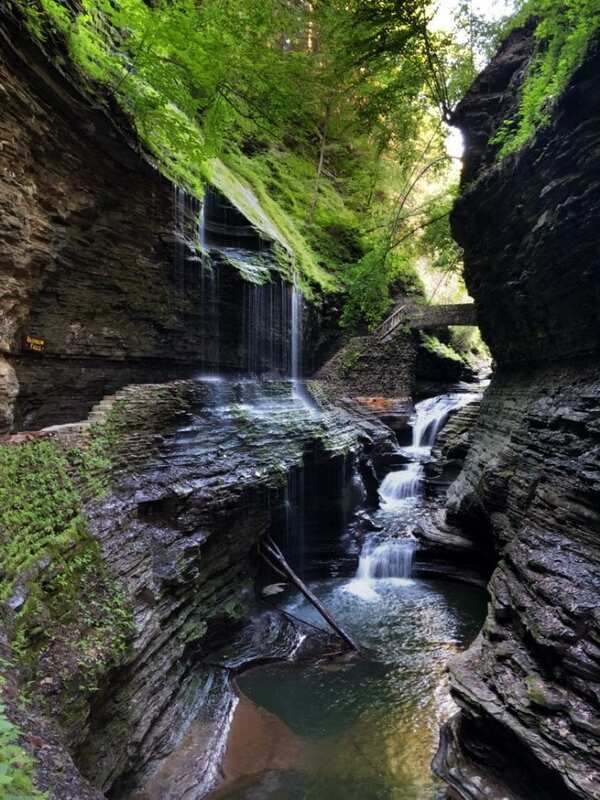 In nearby Watkins Glen State Park hikers will see 19 waterfalls in less than two miles. After a hike in Watkins Glen State Park, head back to the town of Watkins Glen where you can set sail on Seneca Lake for a sunset cruise with Schooner Excursions. Their sail boat, ‘True Love’, was featured in the 1956 movie “High Society”. Some travelers follow their hearts — Kae Lani follows her gut. Obsessed with the history and origins of food, her journeys have taken her from exploring the Spice Route through Israel and Europe to searching for Geisha coffee beans in Panama. 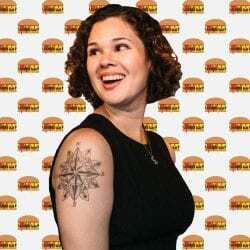 Kae Lani currently works as a food and travel producer at USA Today 10Best and is a co-founder to the network’s newest venture, Eat Sip Trip which launched in November 2017.